I’ve about had it with a lot of the garbage floating around about sales voice messages. I’ve always had the same stance, but It’s time that I get more vocal and ask for your help in spreading the word. Seems like every day someone is putting out a blog, article, tweet, “free” webinar, video, LinkedIn update or whatever on how to leave a sales voice mail. I am sometimes amused by the funny suggestions, but usually annoyed by the tactics suggested. Some are asinine, others just flat out deceptive, which is unacceptable. For example, one I saw online recently instructs you to call a prospect, leave only your name and number, tell them to call you, and say the call is in reference to one of their competitors. Really? And of course there’s the old, “Just leave your name and number and nothing else” -technique because you are mysterious, and then they must call you back. Please. When it comes to voice mail in sales, I firmly believe that the means does not justify the end. Doing whatever it takes to get a call back is NOT an acceptable strategy. If that were the case, why not leave a message that one of their family members was in an accident and they need to call you right away? Outrageous, right? Just like a lot of voice mail advice. Well, what should you do to be effective with voice mail? So that we can plan the optimal approach to leaving messages that gets the results we want, let’s take a logical look at what is really going on with people when they get a voice mail. I’m trying not to get into the weeds here… please stay with me. First, we need to examine the possible thoughts and feelings experienced by a prospect, or anyone in business when they receive a voice message from someone they do not know or recognize, including you. 1. They instantly identify the caller as a salesperson and have no interest at all in whatever the salesperson was pitching. 2. They instantly know there is something in it for them and are excited (i.e., a potential customer calling them). 3. They are curious about possible value the caller hinted at. They feel there just might be something in it for them. Even though they believe it is a salesperson, their mind is more on what they might get. 4. They are somewhat curious, but very skeptical about what the caller wanted, since there wasn’t much communicated. It might be a salesperson, then again it could be a prospect or customer. They don’t know for sure, since the message was brief, and very vague. In looking at all of these possible scenarios, of course you don’t want to elicit those emotions in 1. And you can’t fall into the 2 category (unless you are buying something. Lying is not an option). Number 4 is a possibility, but I recommend against it, as you’ll see in a minute. If you are a professional, salesperson who doesn’t live in the gray fringes of ethics, that leaves us with 3; you want to make them curious about possible value so they feel there might be something in this for them. a. No call back. They might not even listen to the entire message. They would never want to talk to this person and will avoid their calls in the future. b. No call back now, although they still have those curious feelings. But they do not feel compelled enough or see enough urgency or value to call, although they might be open to hearing more. c. A call back, and they become engaged in the conversation. That’s because they see some value in doing so, either confirming their feeling that they might gain something, or avoid some pain or loss. d. A call back, and within seconds of realizing the caller’s motives, they feel duped. They feel taken… tricked because they realize the caller is a salesperson that has nothing of value for them and was deceptive with his message. Which outcomes do you desire? 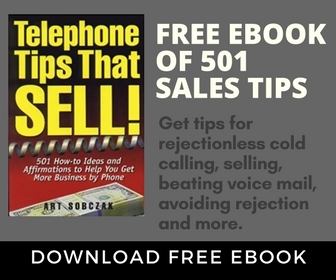 Naturally you want to avoid (a), although that is what happens with most sales voice messages. And I ask you, as a professional, ethical salesperson, would you want (d), tricking them into calling you? Not me, not a chance. That leaves (b) and (c), which is providing them with a valid reason to be open to some possible value you might be able to provide. You maintain your integrity, and you are placing them in a frame of mind where they are thinking about their favorite subject: themselves. Sure, everyone would like that golden magic phrase that gets all calls returned. Sorry to break it to you, but if you want the results I just pointed out, it doesn’t exist. But, you can work to create messages that will get those results. Here’s how. Its premise is fairly simple: KNOW something about the prospect and his/her situation before the call, and use that to create interest and be relevant in your call opening, and voice mail. The first step is doing your research on your prospect. Information is more accessible today than ever. Google, LinkedIn, their website, Facebook, Twitter, all can hold great info. Services that collect sales intelligence like InsideView and OneSource/ISell are invaluable. And doing “social engineering,” calling into the prospect’s business and talking to people other than your prospect can be one of your best sources of information. What are you looking for? Anything that might make what you have to offer of possible interest to them. Then you can plug it into the Smart Calling Voice Mail formula. Notice the message doesn’t say that you want to pitch products or services, or that you want to meet with them or invite them to a webinar, or make any outrageous promises. If fact, it doesn’t ask for anything. It does touch on something that is going on in their world, suggests how you have worked with others in the same situation to get the results they desire, and that you simply want to ask questions to possibly provide information. It also likely makes them curious about what you are talking about. Remember that from earlier? A great voice message should leave a question in their mind about how they could get that value. And, it says that YOU will call back. Let’s face it, most voice mails are not returned. Sure, occasionally you’ll get a call back. But importantly, you are planting a seed of value that can enhance your chances on the next call. There is no super-secret method to voice mail success, nor magic techniques that work every time. But, if you employ the time-tested method of understanding your prospect, and hinting at possible value they might be interested in, you will show success. Receive FREE Tips Like These Every Week! 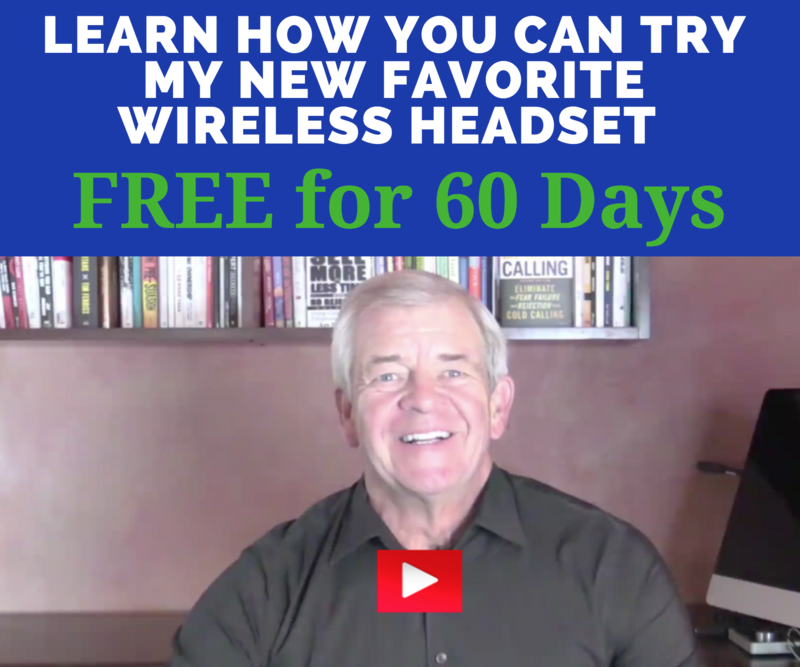 For over 13 years I have been delivering solid tips like this every week, helping sales reps worldwide generate more dollars. Sign up below to get sales-building tips every week. No spam ever! Sales is a killer occupation. Please don’t attempt to neuter those of us that really make the wheels turn. Your stuff is entertaining though and good reading in the morning with my Wheaties. You’re not feeling much love here, are you, Guy? When I read the first sentence of your post (‘anything that gets your call returned is… permissible’), it seems you’d be ok with leaving the message, “Your family member has been in a serious accident!!! Call me back right away!” (as suggested in the post). I don’t think you’d be doing business with the guy who calls you back in that case. He’d probably have you arrested if he could. Glad you can sleep at night. I couldn’t. But I guess I have a lot more to learn about ‘effective’ salesmanship. Say… If ethics are out the window, it opens up a whole new realm of ‘business opportunities’ though, right? So thanks for that stellar advice! Art, bravo. I work for one of those call centers and have trouble with the “tell em anything just get the sale reps. Sure your sph beat mine but I can look in the mirror each day and be proud of my ethics. I am only two weeks in to sales with virtually no training; a total switch from customer service based positions I have done for thirty years so perhaps I am niave but I pray the pressure does not corrupt me. 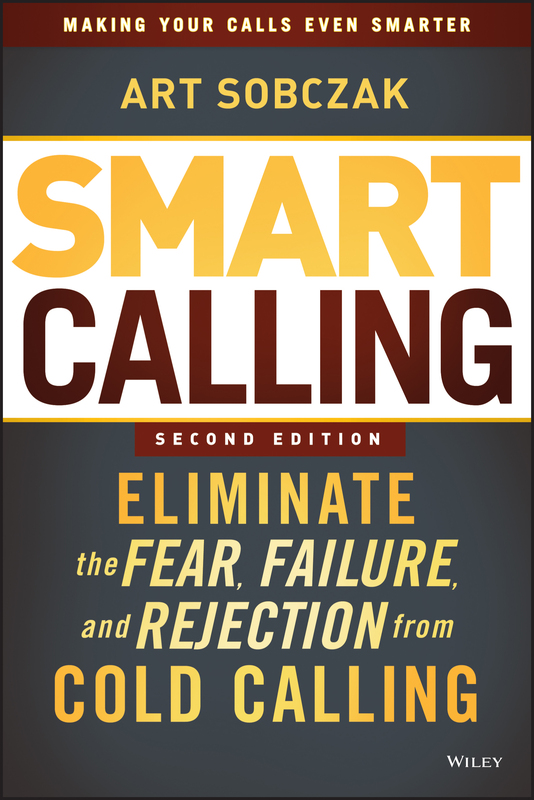 Thank you for your valuable insight to the world of cold calling. I wish my company would use your materials! Don’t sweat this, Jonna. I’m doing very well where I am right now and it’s because I’m an ethical operator, not in spite of it. I’ve been privileged to be mentored by a number of top-gun sales pros, with millions upon millions of dollars in sales under their belts. They haven’t always been the most ethical of people, but they got where they got because they had integrity. Being a decent person is just one way of providing value to a client: reliability means that they can count on you to deliver for them. I have no respect for small-time hucksters with big egos but no integrity. 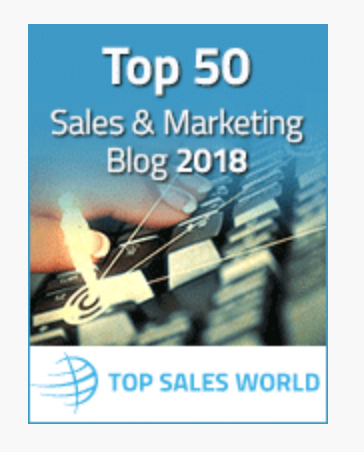 They may be the top dogs of their dips*** car dealership or poorly-run sales department, but they rarely last in this business because you can’t have relationship sales without trust. When I see people like that getting accolades and worship, it’s usually more indicative of poor sales management/incentives than it is of their skills. If you worked for me, you wouldn’t be working for me anymore. Art is providing a long term sales career methodology that isn’t based in lies and distrust. I use his techniques and I develop quality relationships with potential clients who need my services. From the on set they trust me and know I’m there to help. Morality is sales isn’t about being effective or not. It’s about doing the right thing and about who you become as a person overtime. If guy miller wants to be an immoral sales person with questionable tactics, so be it. But do not attempt to downplay Arts methodology because you can’t muster up the integrity and courage to be an ethical salesperson. Guys knowledge of sales etiquette is right up there with his choice of “good” breakfast cereals. I’d love to know to know what industry he’s in Banking perhaps? I used to use some of the somewhat deceptive techniques you mentioned when I was trying to grow an MLM sales team and it wore me out and, looking back, it did NOT propel le me to great success & achievement either. changed my heart and motive behind what I was doing and everything changed! I chose to operate with 100% integrity and have my customers best interest in mind, not my own. The results that followed are astounding! It seems now, my heart won’t let me leave a vague, sleazeball message like I used to. Thanks for always adding value! I have unsubscribed from just about everyone that works in info marketing except you! I read your piece and I think you make some good points, but the reality of voice mail is that if there were a definitive method that produced consistent results, there would be little or no debate. In answer to your question Really? Yes! And yes reference a client you HAVE DONE business with, that is either a competitor, customer or supplier. Just as you would highlight past companies you have worked for on a resume. It is ethical as long as you don’t make things up, but use references of companies you have in fact worked with in the capacity you are looking to sell to the prospect to. The method not only yield a call back rate of 50%, but delivers engagement and ongoing customers. The real question is how you handle the callback. Done right the prospect does not feel duped, and will not only engage, but buy from you, or at least me. In 10 years of using the method, thousands of voice mails, I have only had two people who took offence, hundreds who have met with me, and dozens who have bought and continue to deal with me. In that context the 2 are statistically insignificant in the face of the other results. On a bell curve these would be extreme outliers, while those who engage and buy would be significant. I think that much of what you say is right but here is an alternate view that allows the method to work if executed correctly. 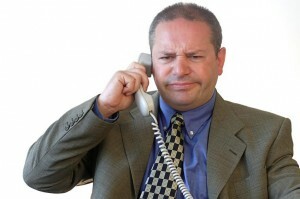 Prospects receive many voice mails from a host of would be vendors, all stating claims, some accurate, some embellished. Two things come to play, first is the fact that 70% of prospects called are what we commonly call Status Quo, and therefore believe they are all set, and no matter how we may link it to initiatives, they have heard much of this before, and are predisposed to ignoring the message. Which is the second, that without context it falls short, and voice mail is to short a medium to add context. Consider that 90% of outbound messages ask you to “leave a detailed message”, why, so they can know why not to call you back. Even in the 30% that is not in the status quo, the voice mail is lost in the crowd. The reason the alternative “asinine” message works is because people are naturally curious, and will satisfy that curiosity given the opportunity. This is why they call back, and this is why they engage when the call back is executed properly. It is a bit f a shift, but again when the process is executed properly from beginning to end, including the handling of the call back, it works. People are after all not all logical, and not all emotional, a consistently executed method that touches both aspects of human nature yields results, whether you measure that in call backs, conversion to prospects, closed sales or ongoing customers. I think we agree that the key is that the sales person remain honest and ethical, so again, the reference is clean and ethical. But so long as it ethical, and results in call backs and customers, I don’t think it is accurate to call it asinine. Thanks for the post. First, I admire your work and your book. On this one, however, we disagree. Not on whether it “works,” since in your case obviously you are getting calls returned, and I can’t dispute that. As I mention in the article, it does create curiosity. However, when I, and the majority of other decision makers I speak with receive a message like this, we agree that it causes the emotions I detailed. I choose not to tread into that area, nor teach it or condone it. While there are some gems here, there are some recommendations which fall far short of being effective. 2. It’s too long. 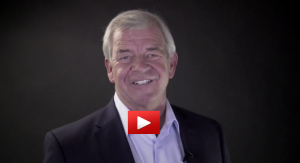 If the message exceeds 30 seconds, your call back rate decreases substantially. 3. Not only too long, it’s too vague. 4. “I’d like to ask…” is VERY weak language, just as “hope to” and “want to” are weak. Just ask what you want with the preface and qualifier. 5. You NEVER say you will call somebody. Instead, you say you will GIVE them a call (it’s much more positive language). “If you’d like to reach me in the meantime…” is also weak. Tell them (don’t ask) to give you a call. End EVERY message with “Thank you”, not “Thanks”, followed by their name: “Thank you, Art.” As Dale Carnegie said, the sweetest sound to anyone in any language is the sound of their name. People remember the last thing you said. is it any less immoral to say the purpose of your call is to ask a few questions and send information when you know the real purpose is to sell them something? i know..i know… you do want want to send them information. then sell them something. the method you critique of just leaving your name and number may not float your boat, but there is nothing dishonest about it. there is no hidden agenda. the fact is that nothing that ‘works’ or ‘doesn’t work’. every salesperson is different and every prospect is different. The object is to get them on the phone. that doesn’t mean you tell them their baby was in a car accident. in closing how moral is it to insult the first commenter because you disagree with him? Criticizing his breakfast cereal? what are you, 5? I’ve spent some time reading multiple websites/emails in regards to this subject and each one seems to contradict the other. The truth is that you need to just make the call, have some knowledge of the customer’s business, and offer them something of value in exchange. I don’t think anyone listens to a voicemail past the 10 second phase unless you give them something of interest. I don’t have the answers, so I will keep looking. The comment about letting them know you plan to call back does work. My phone number was given accidently to a sales company and they kept calling me. I tried to just avoid them, but they would end each phone call with, “If I don’t hear from you, they would try me again until they reach me.” It forced me to listen to their call, but I wanted nothing to do with the product. If someone could make a strong enough case to tie this in, I think that might be the best way to get some communication. This article is the closest I’ve seen.